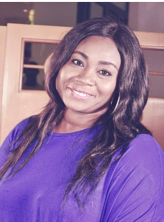 Angela Dwamena-Aboagye is a Christian lawyer and the Executive Director of The Ark Foundation, Ghana, an NGO in Ghana, West Africa, which established the first shelter for battered women in Ghana in 1999 and offers advocacy and psycho-social support to women and children. 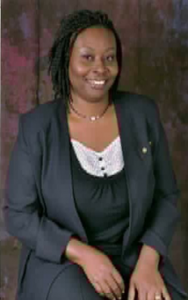 Angela holds a Bachelor-of-Laws (LL.B) degree from the University of Ghana, and was called to the Ghana Bar as a Barrister and Solicitor in 1989. She also received a Masters-in-Law (LL.M) degree from the Georgetown University Law Centre, Washington D.C, USA in 1995, a Master-of-Arts (M.A) degree in Theology in 2006 and a Master of Theology (MTh) in 2013 and a PhD in Theology from the Akrofi-Christaller Institute for Theology, Mission and Culture, Akropong, In 2018. She has won a number of national awards for her work in promoting women’s empowerment and child protection, including being an awardee of the Millennium Excellence Awards in 2010, the Martin Luther King Jnr. award for Social Justice in 2009 and the Girls’ Inspirer Award in 2016. Her strong interests are young women’s leadership development, working with survivors of domestic violence, women’s mental health advocacy, and Christian Discipleship and Mentoring. Angela is a Licensed Minister with the International Central Gospel Church. She is married to Kwame, who works with the UN. They are blessed with three girls and a boy, all grown up. Naana Frimpong is a Gospel musician whose vision is to bring souls to Christ through spiritual music. She is a General Manager of a Shipping Company: Transcontinental Ventures. Naana holds a Bachelor of Science degree in Human Resource Management and a Master of Research degree in Management both from Ghana Institute of Management and Public Administration (GIMPA). Naana is married with three children. Rex Alex Delanyo has served as The Arks financial and Administrative officer since 2006. In this role, he provides financial and Administrative leadership for The Ark Foundation, Ghana, including direct management and oversight of the finance unit. He directs the preparation and management of the organizations $1.2 billion annual operating budget and alignment of its resources. Rex also serves and coordinates the Management decision making unit of The Ark to provide financial leadership for the key organization initiatives and programs. He represented the organization on some committees such as the Centre for Democratic Development (CDD) Project Accountability Committee on National elections in 2016, the working Committee on the review of the Social Protection Bill 2018. 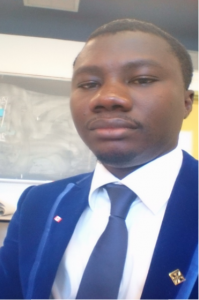 He also serves as a member of the steering committee of Coady International Institute Alumni of Ghana. He graduated from Ghana Institute of Management and Public Administration with a bachelor’s degree in Finance in 2011. He has a diploma in Development and Leadership from the Coady International Institute, St. Francis Xavier University, Canada in 2013, a Diploma in International Human Rights from Equitas, John Abbotts College, Canada in 2015. He also has Diploma in Business Accounting from the Takoradi Technical University in 2001. In his working profession, he considers himself as a Human Rights Advocate, A development Leader, a financial expert, Trainer and a facilitator. He has the passion to work towards assisting the vulnerable and the excluded in our society to seek justice through the biblical principles of LOVE, MERCY AND JUSTICE. Micah 3 vs 8.